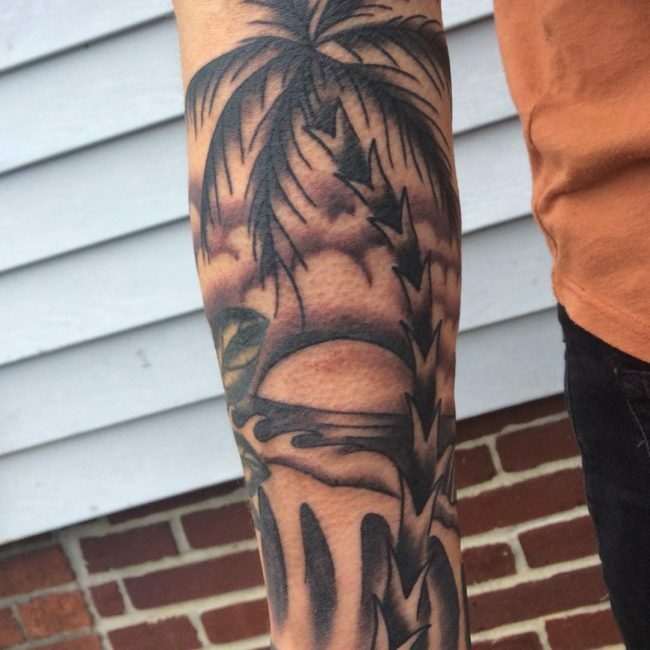 The palm tree tattoo will help you carry that relaxing tropical vibe everywhere you go. 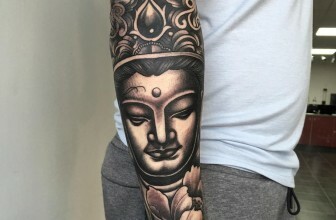 You can also place this sleek totem almost anywhere that you want and this is what makes it an excellent choice for both men and women. 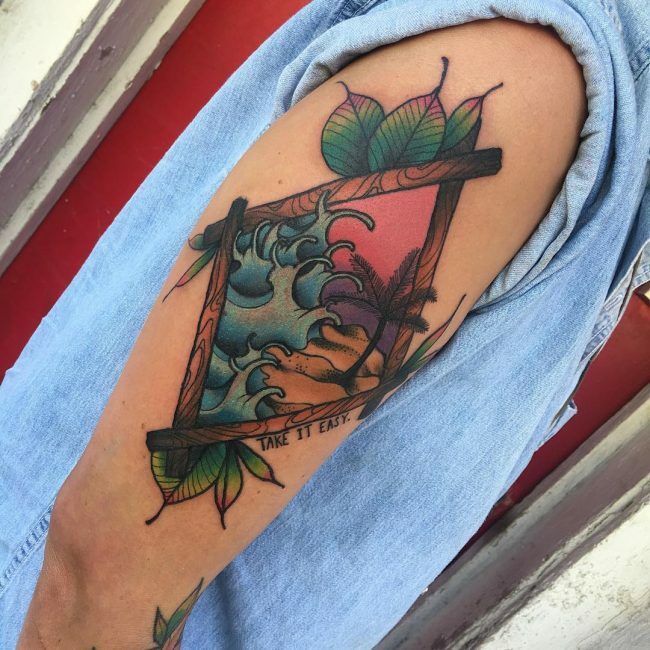 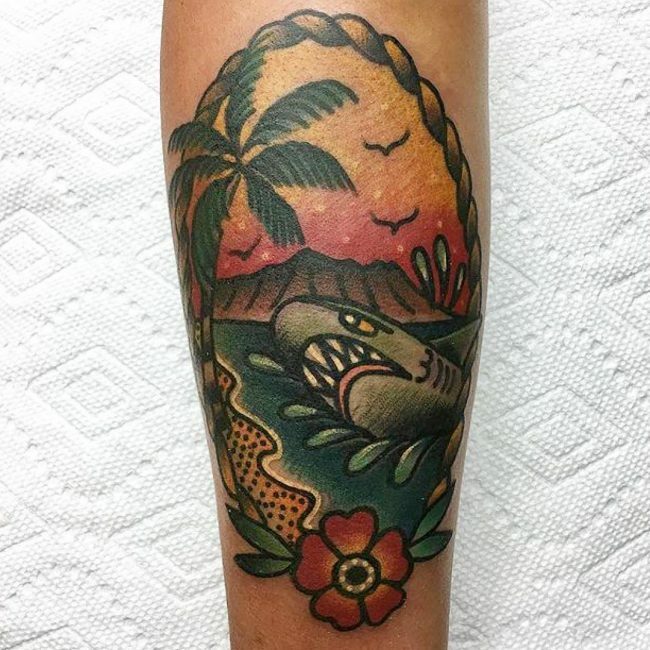 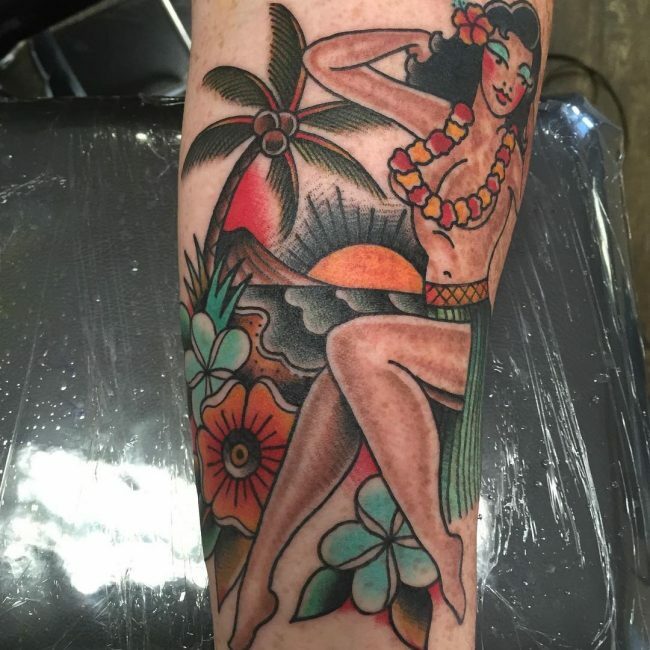 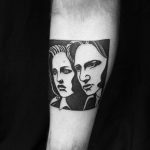 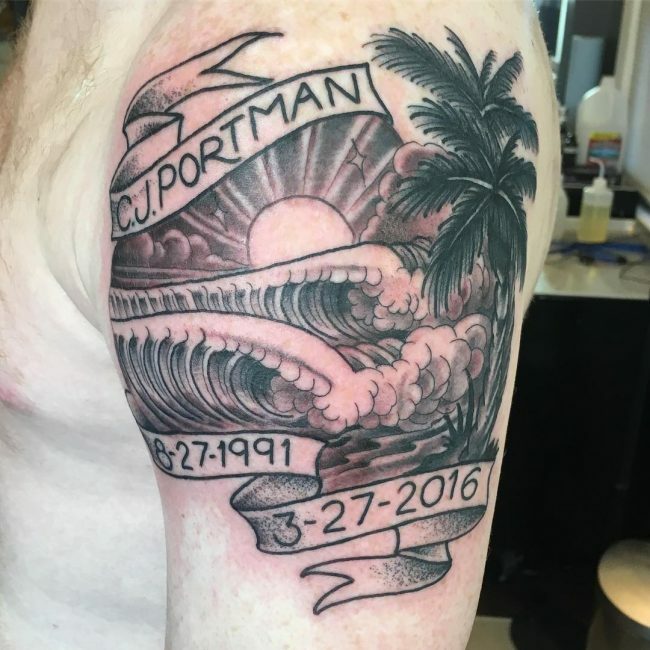 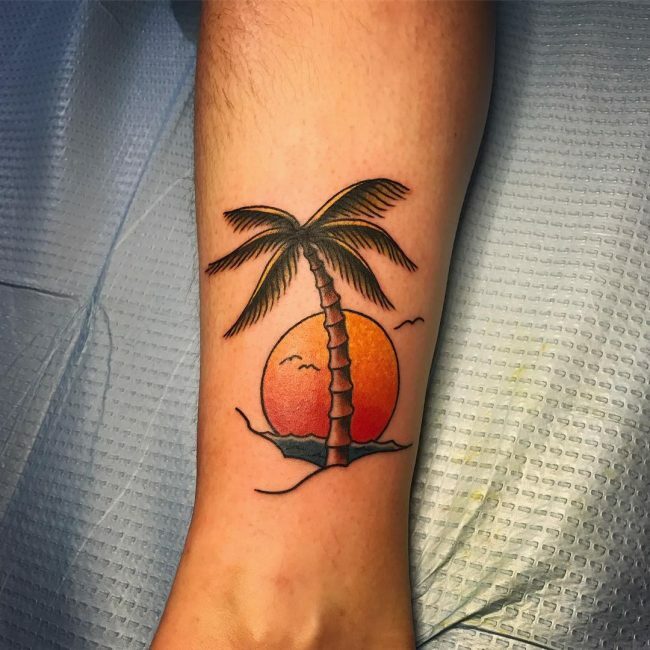 The palm tree will provide you with a masterpiece body marking, and the best thing about it is that it is very easy to draw and any skilled tattoo artist can create it effortlessly. 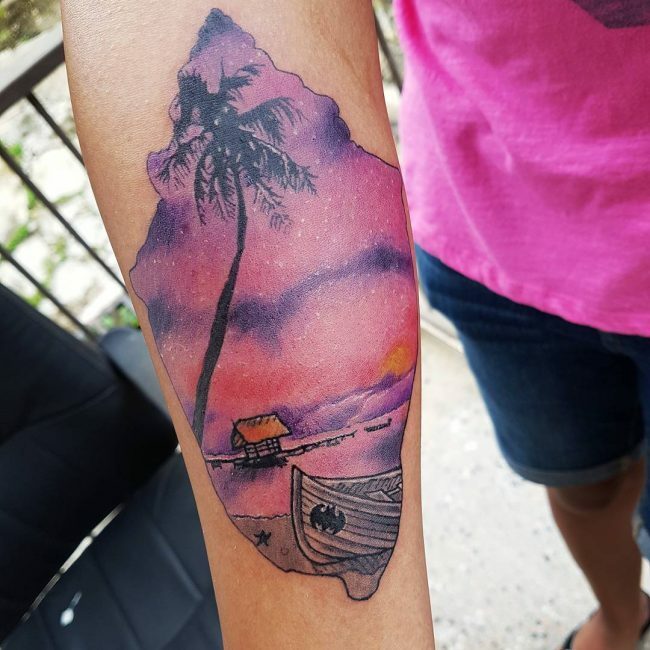 People have been painting this tree for many years, and one can find it in portraits and cave drawing from thousands of years ago. 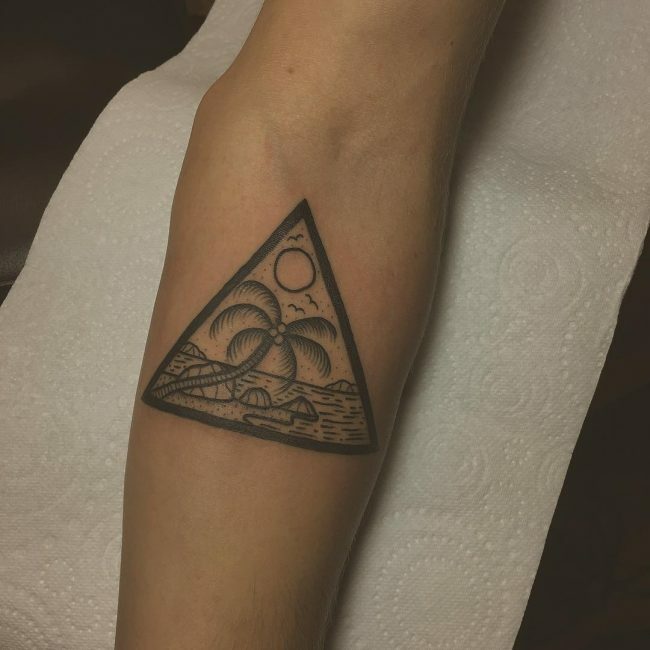 In some cultures and this is more so for communities that live near the ocean, it is an important tree as they consider it the Tree of Life. 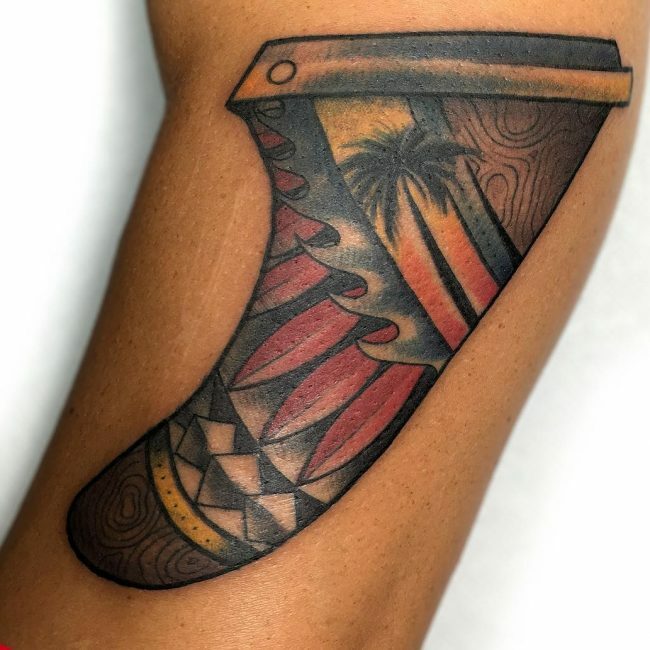 Apart from giving them food in the form of coconuts, it also provides them with roofing materials for their huts and sap that they would use for many things. 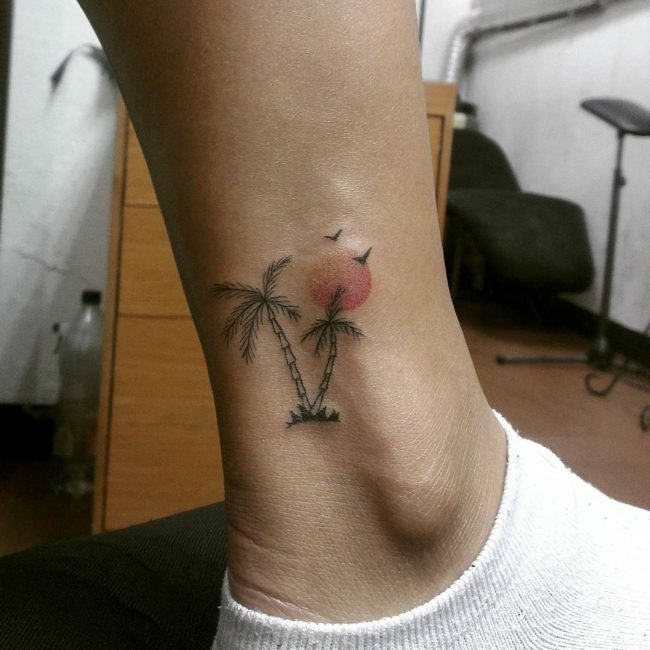 It is this significance of the tree that makes it a favorite of Samoan tribes and other Pacific tribes. 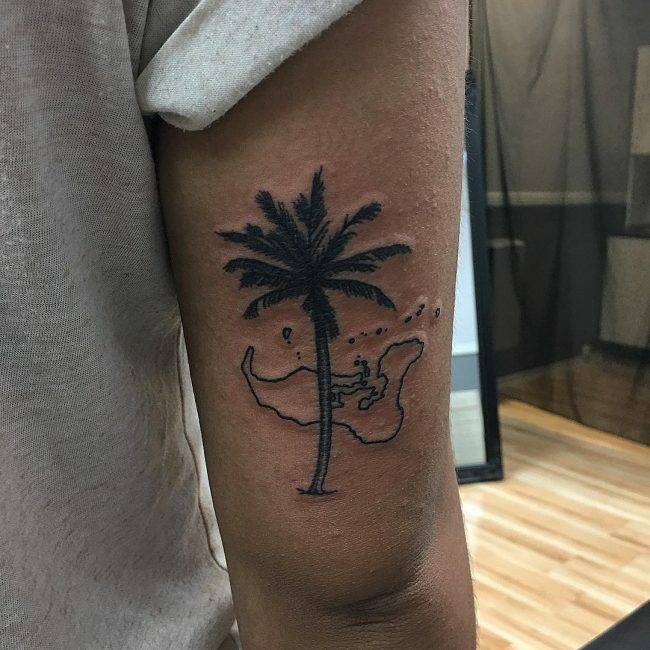 To show their love and importance of the tree, they would draw it on their bodies. 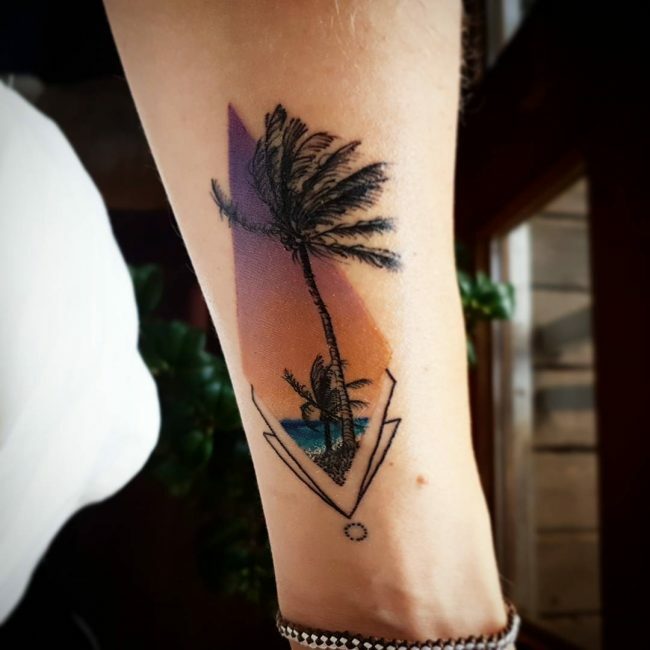 Although modern day palm tree totems get their inspiration from the love of beach life, their designs and meanings are very similar to ancient palm trees. 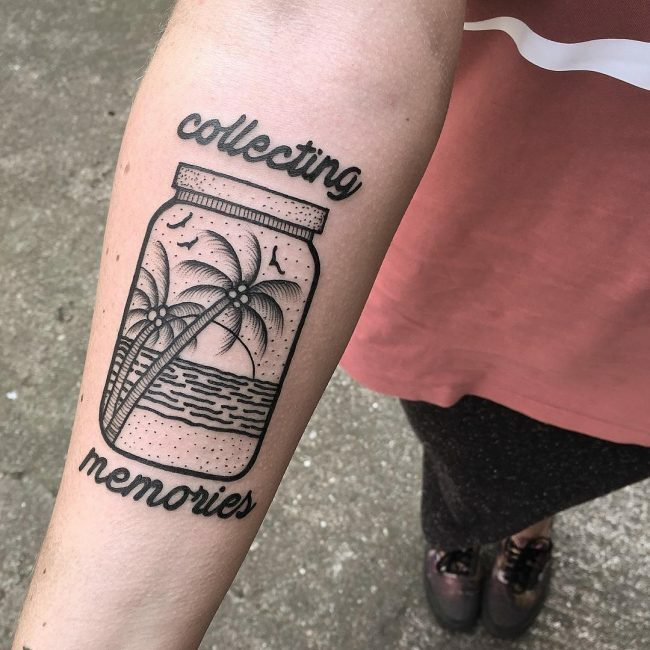 What Do these Tattoos Mean/Symbolize? 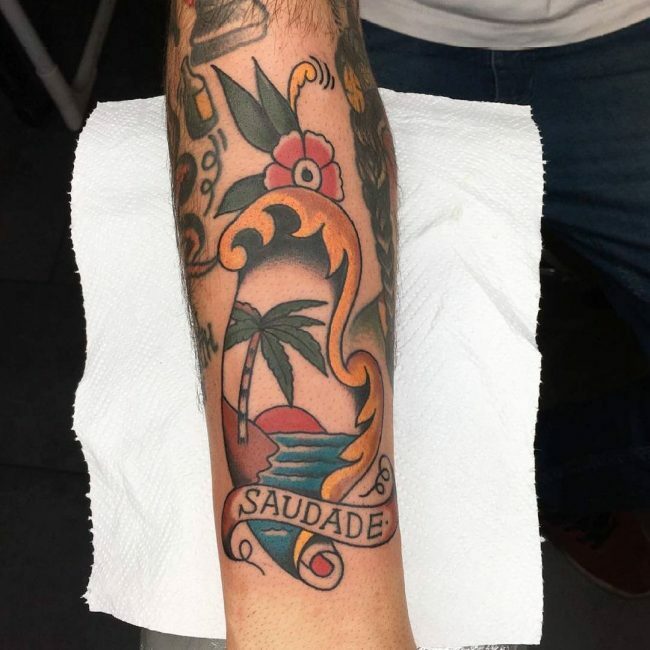 The palm tree has an important place in different cultures, and so it also has numerous meanings. 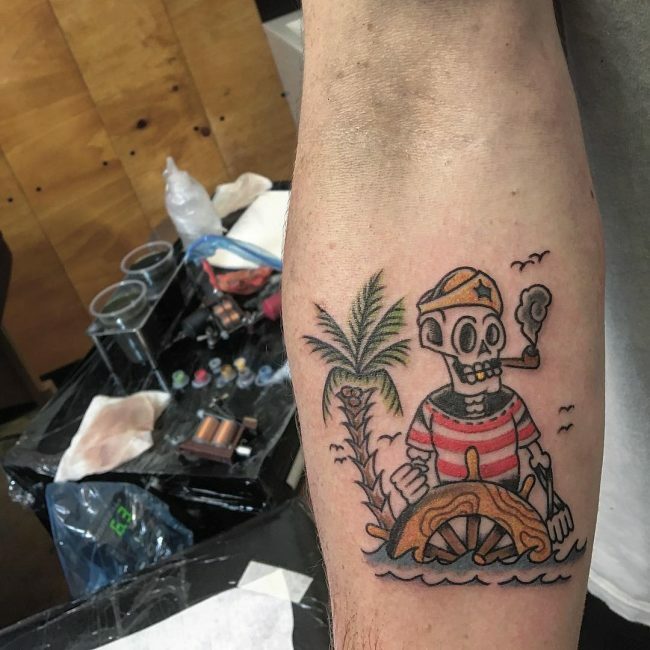 Although it can mean anything that you want, it is important to understand these common meanings and symbolisms before you draw it. 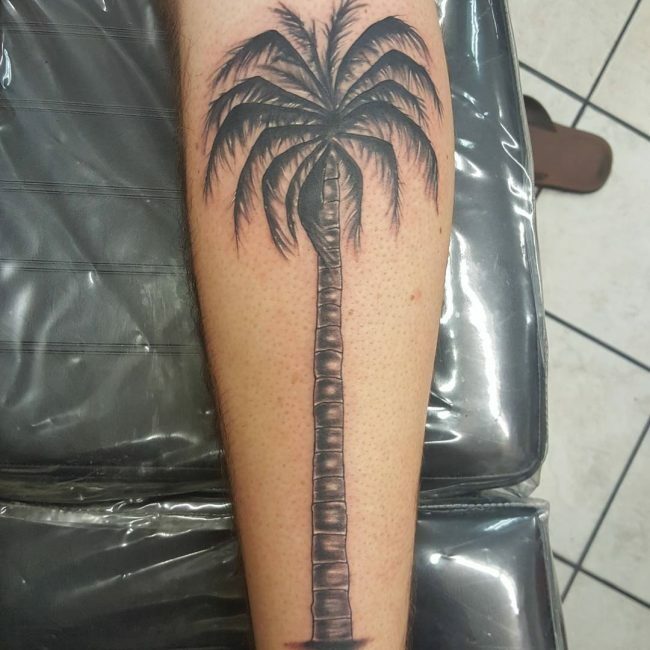 For the ancient Egyptians and Assyrians, the palm tree was the Tree of Life as it was a source of food and its nectar was used in rituals to keep dead people in a semi-animated state while waiting to know their fate in the underworld. 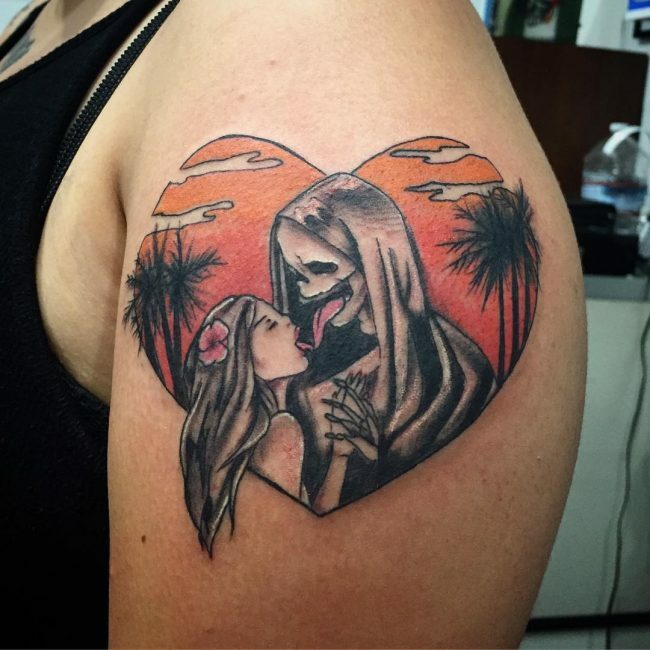 And so having this tattoo can symbolize life. 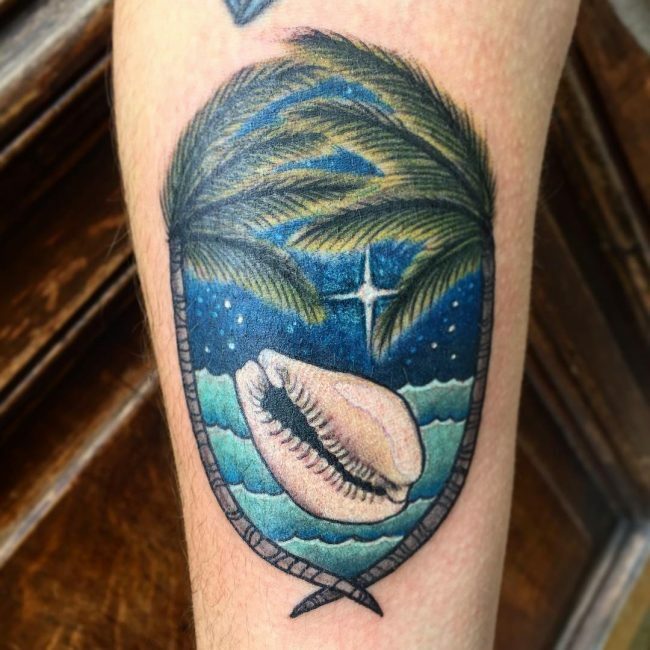 For Christian, the palm tree is a symbol of resurrection and victory over death, and this symbolism comes from the Bible story of Jesus. 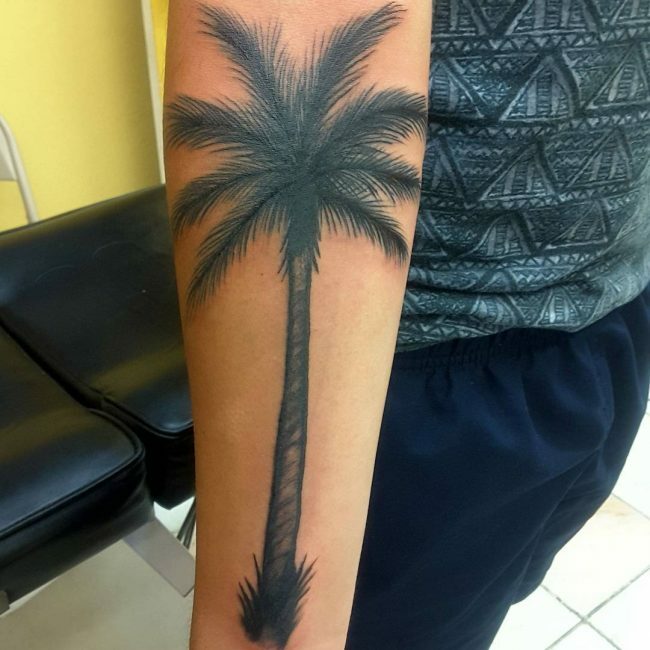 Believers in Jesus Christ laid palm leaves on the path that Jesus walked through as he entered Jerusalem to be crucified by the Romans. 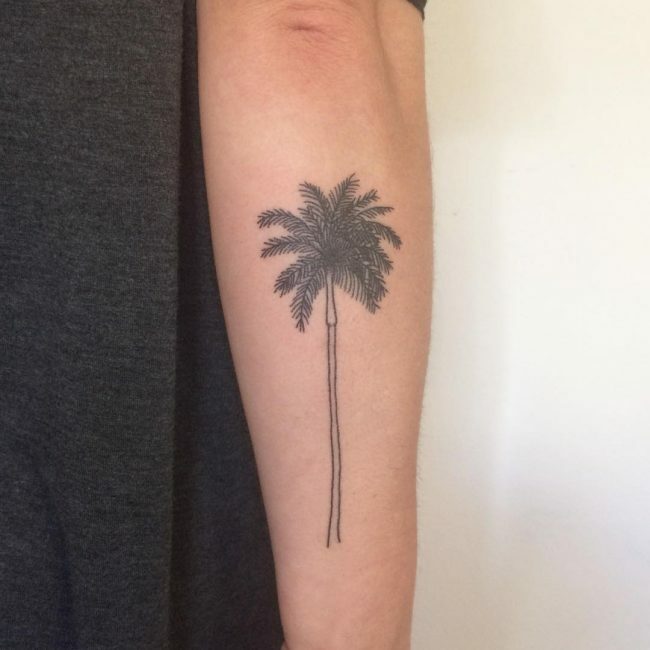 According to Christian beliefs, He resurrected three days after death, and so having a palm tree tattoo will symbolize resurrection or faith in Christianity. 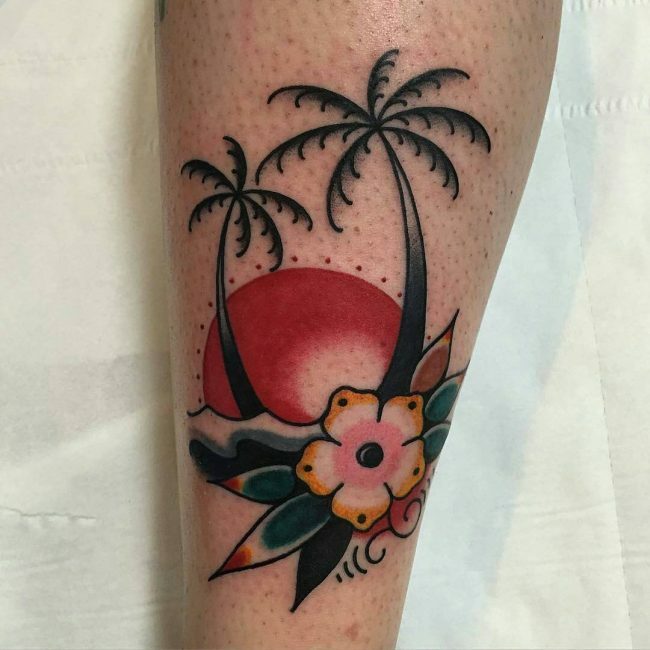 In some cultures, the palm trees represent Paradise or the Garden of Paradise. 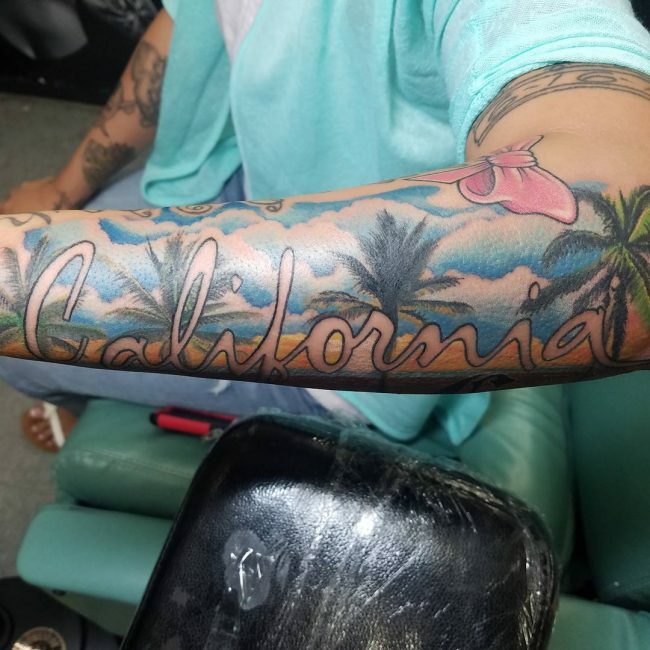 These communities also believe that the trees are symbols of goodness and wisdom while their branches are a symbol of God or the Supreme Being that is the creator of everything. 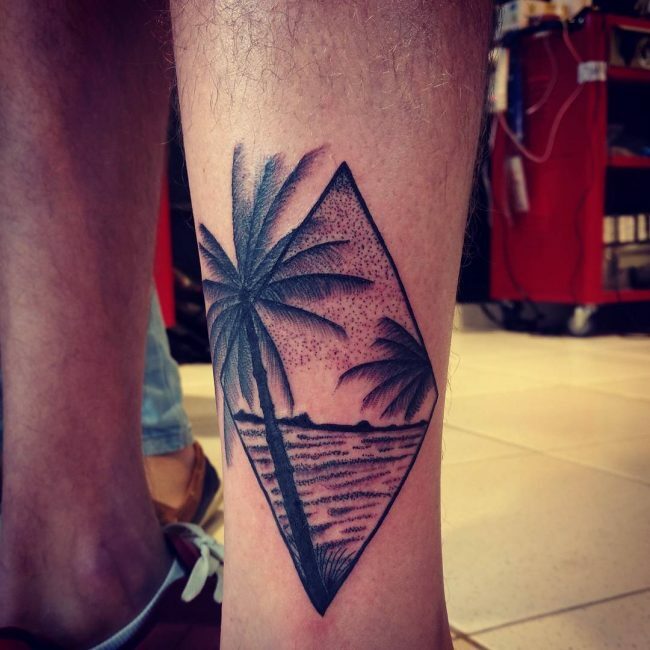 In these modern times, people also associate them with the beach life which for most is a paradise for relaxing and enjoyment. 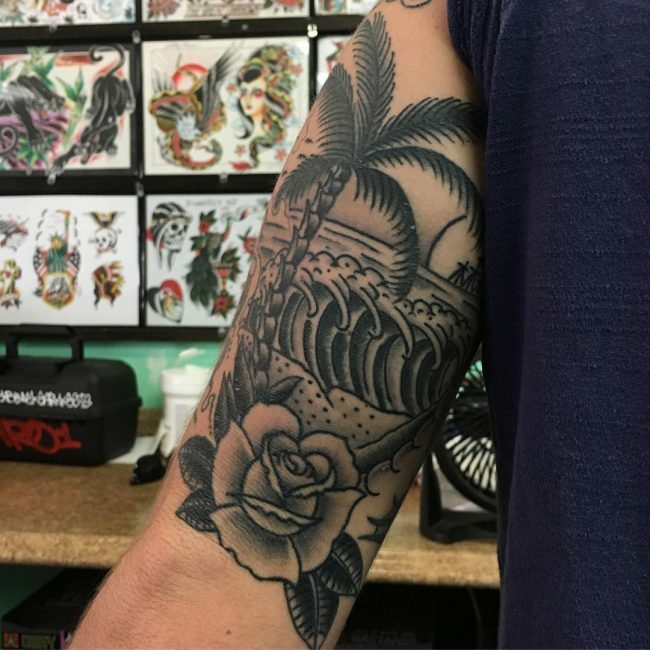 The number of trees that you have on your tattoo will also influence its symbolism because a single tree represents abandonment or the feeling if being alone. 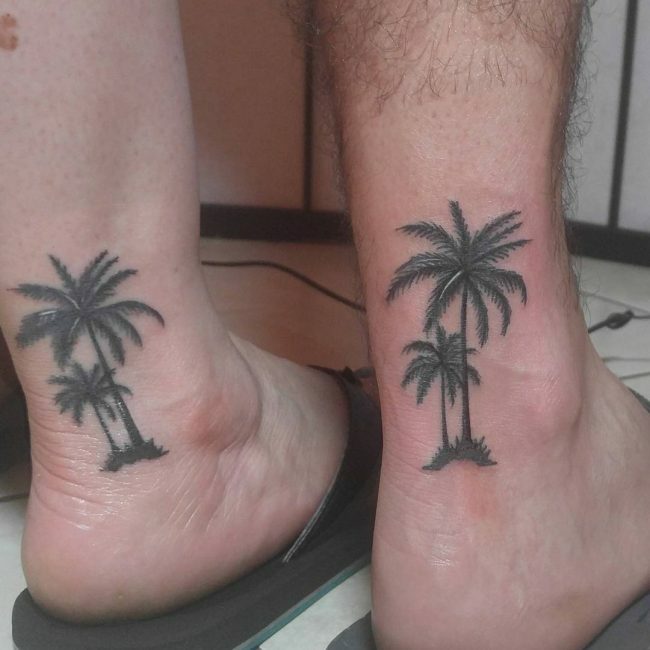 If you draw two intertwined trees, they will symbolize eternal love. 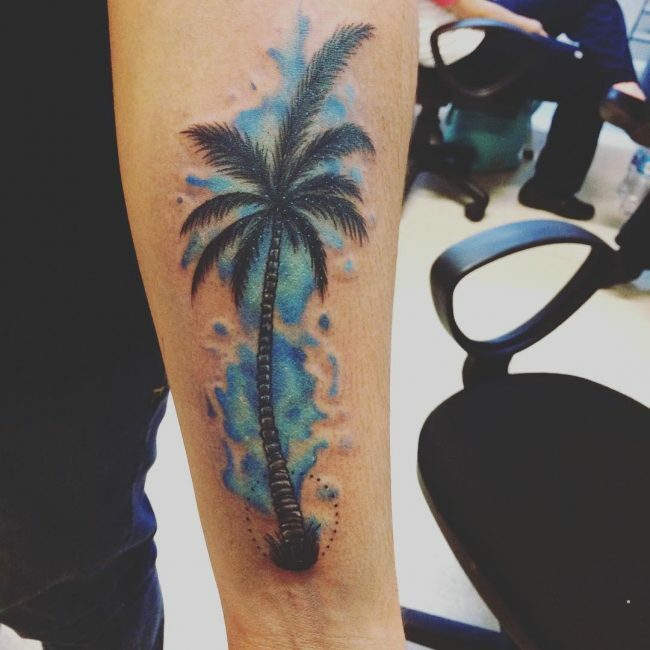 Incorporating the palm tree with other elements will also determine the meaning. 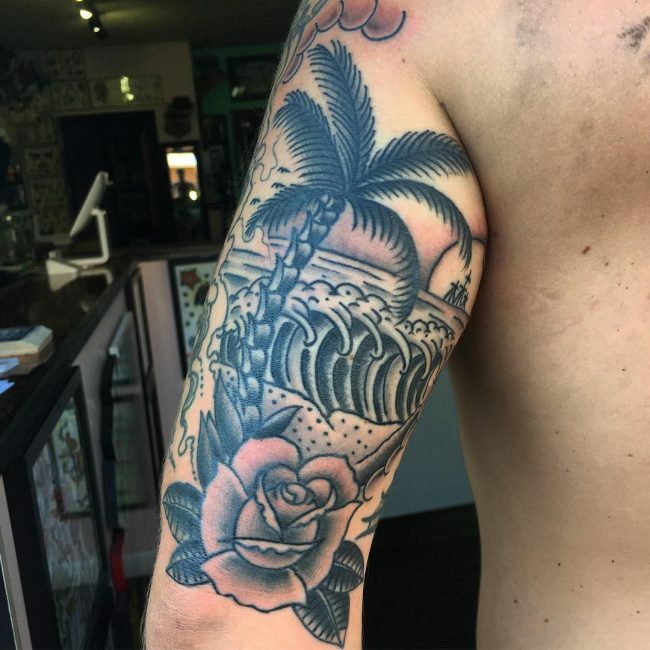 For example, if you add a skull to a single palm tree totem it will symbolize a lonely death while adding flowers or cherubs will symbolize a connection with the heavens, goodness, and purity. 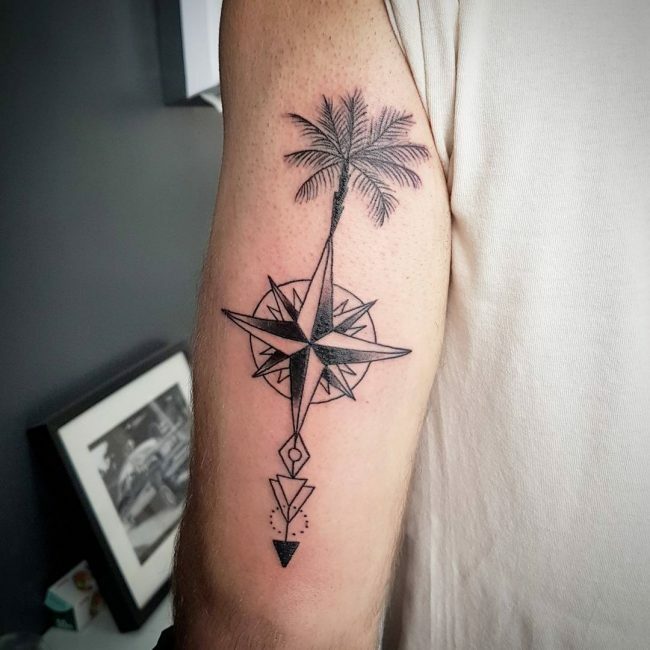 Tattoos are always changing and becoming more stylish, but the best thing about Palm totems is that they offer you plenty of design options. 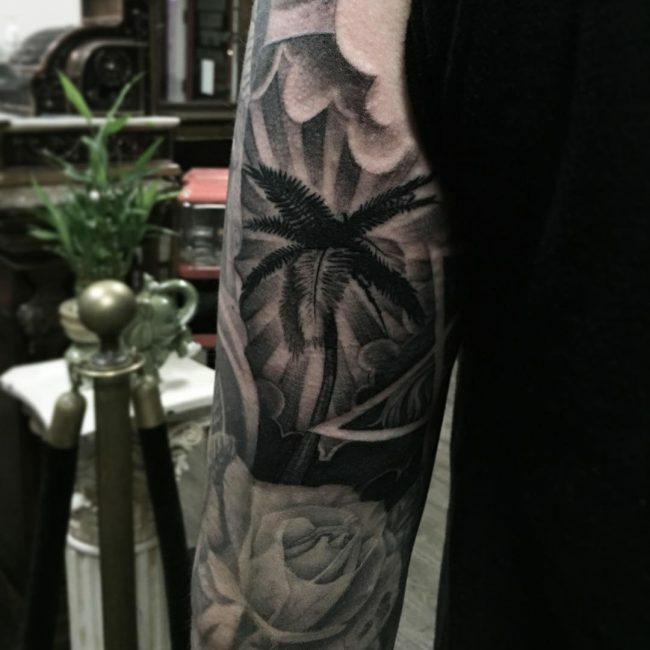 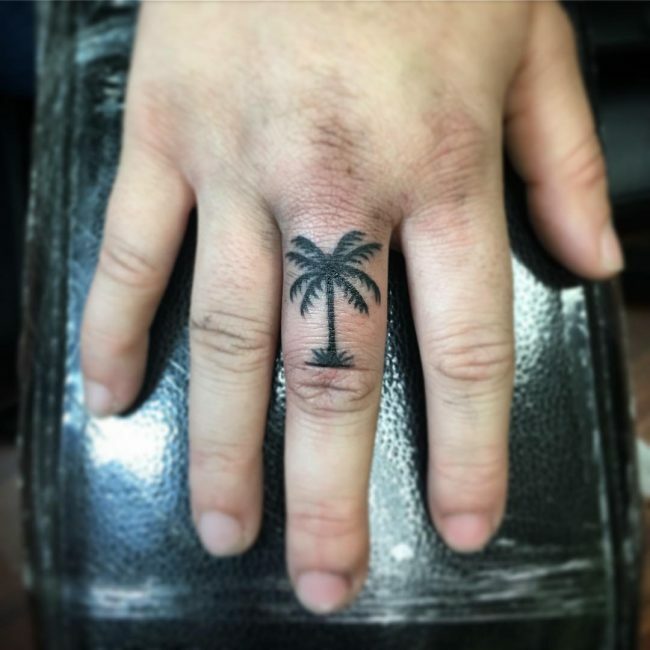 The palm tree tattoo is available in various styles and designs, and so a tattoo lover can always be confident of finding something that suits his preferences. 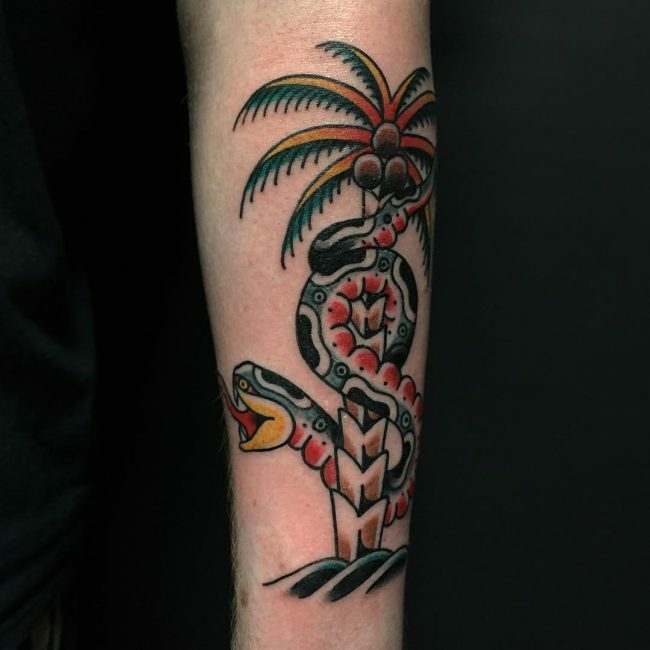 And to help you find the best palm tree totem here are some of the most attractive designs available. 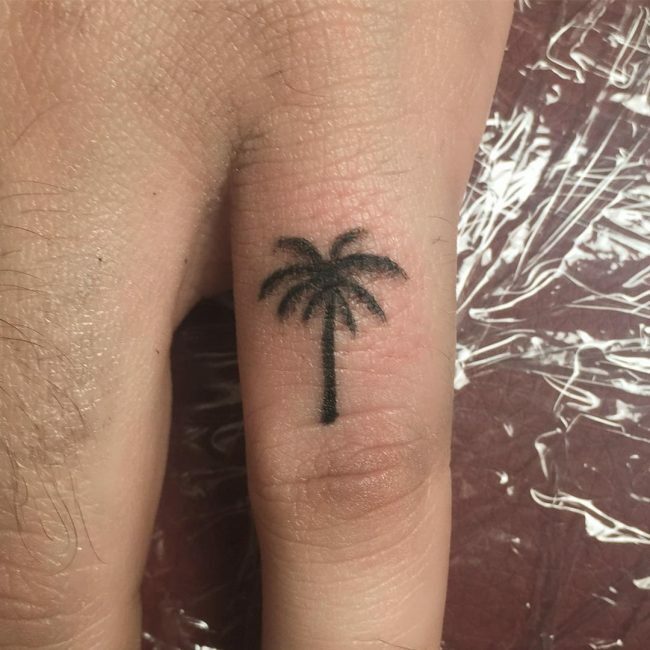 Miniature palm trees are very cute and trendy. 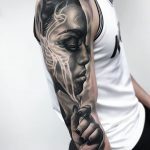 These tattoo designs are an excellent choice for people that do not like to have massive and outstanding body markings. 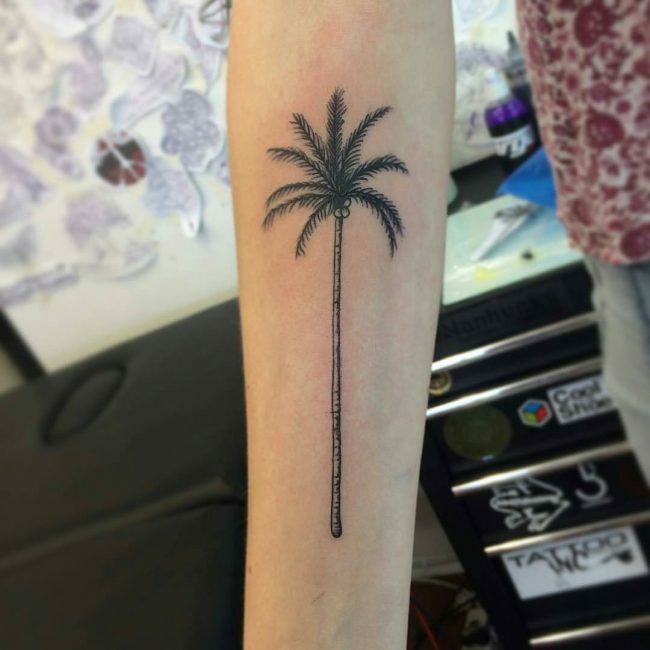 Just as the name suggests, they are small images of the palm tree, and you can have one or two trees anywhere on your body. 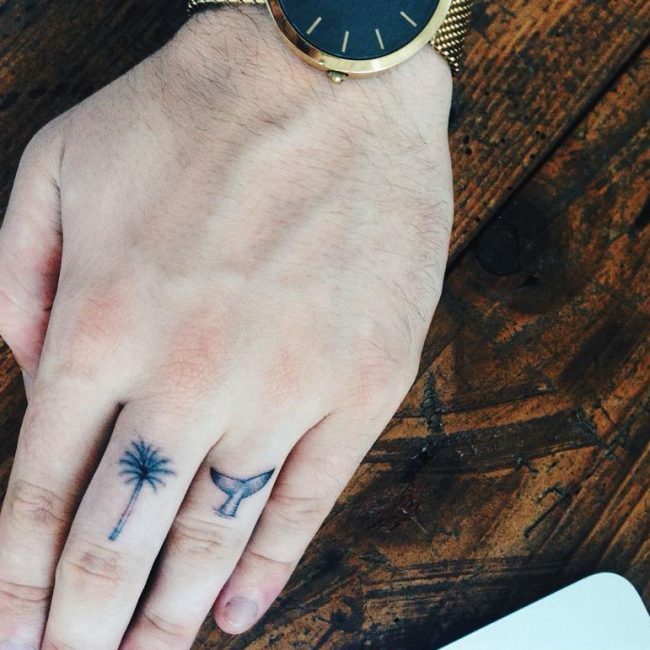 Their miniature size also means that they are easier to conceal than large tattoos. 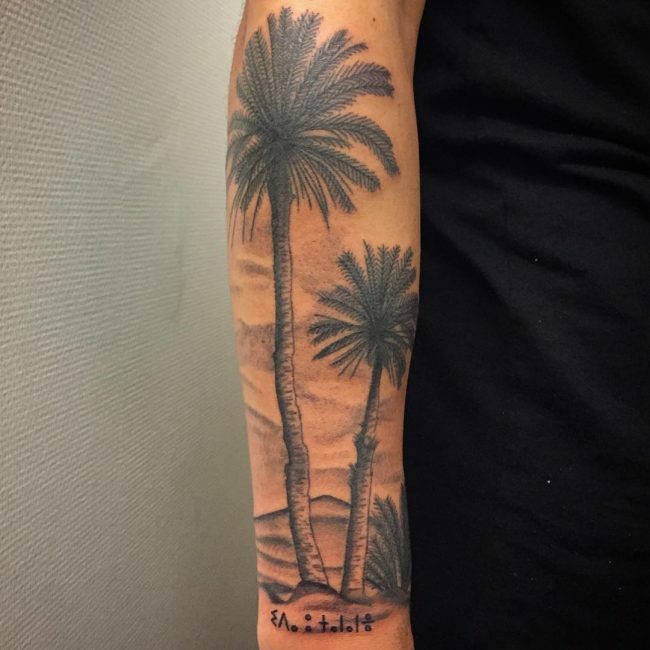 It is common to see people using Tribal patterns with the palm tree totems. 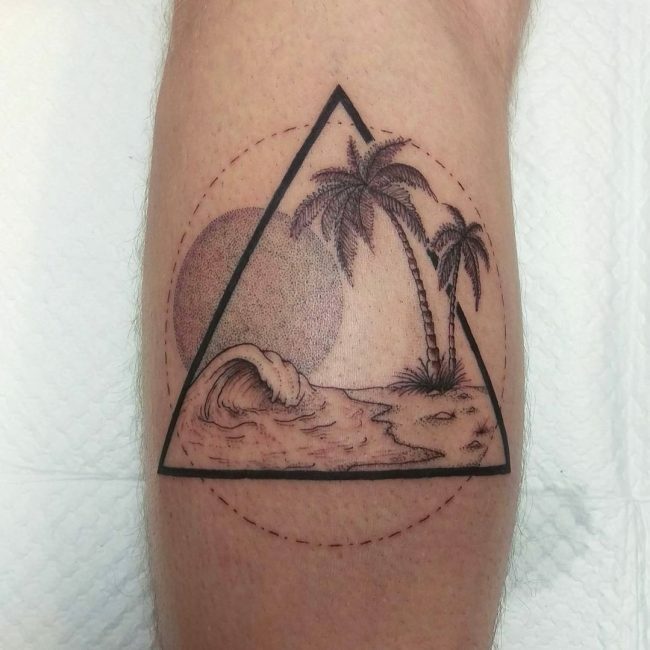 In this tattoo design, the artist uses dark, bold and thick lines to bring out the shape of this beautiful tree. 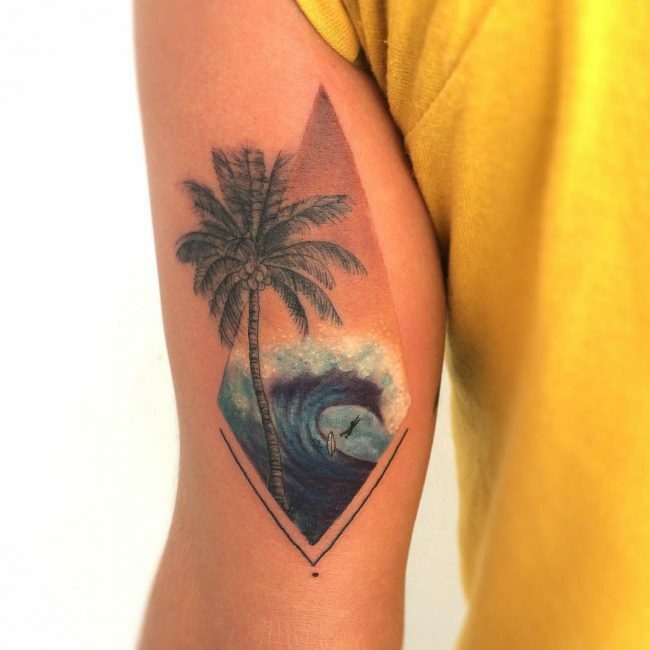 Some artists will also use some swirling lines in this tattoo design to form a unique tribal image and to give the tattoo an island vibe. 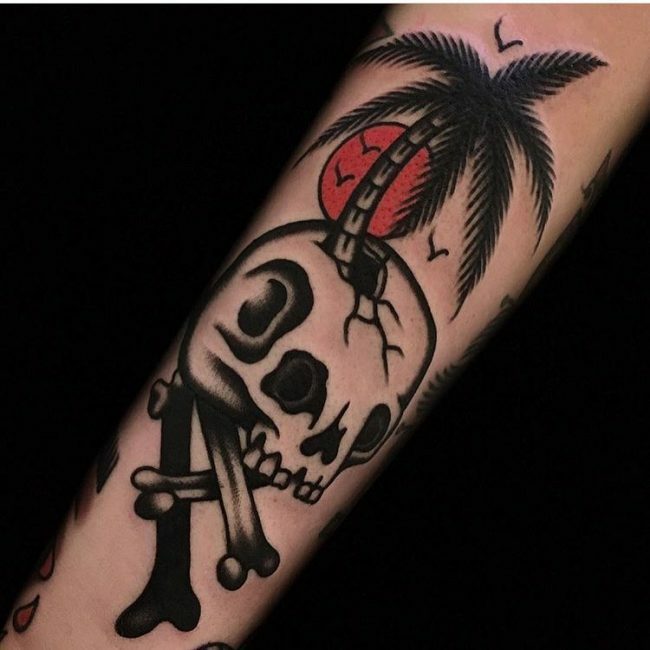 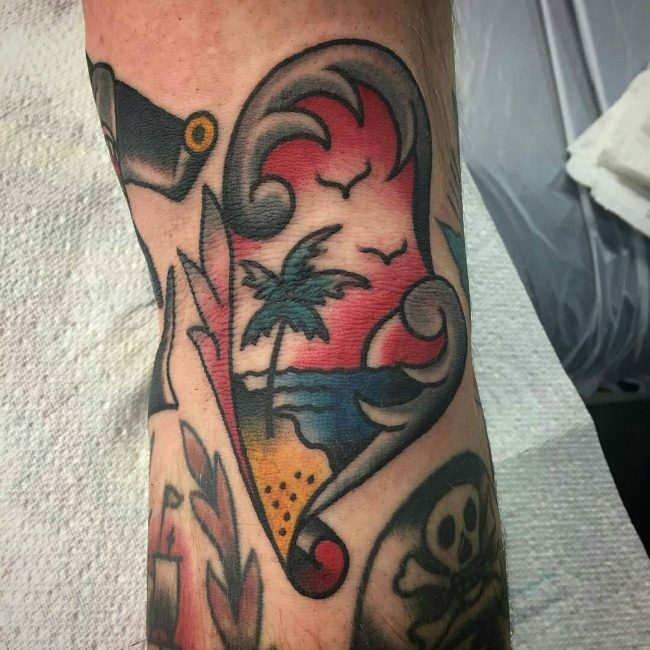 Any tattoo will always look stylish and trendy when you combine it with a skull head, and so it is not unusual that this is one of the most common types of the palm tree emblem. 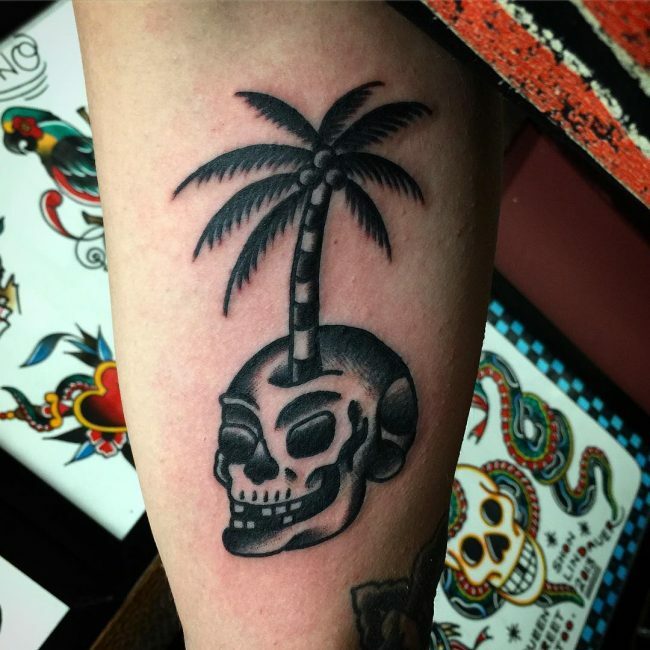 In this design, the artists can replace the coconuts with skulls or have them on the base of the tree. 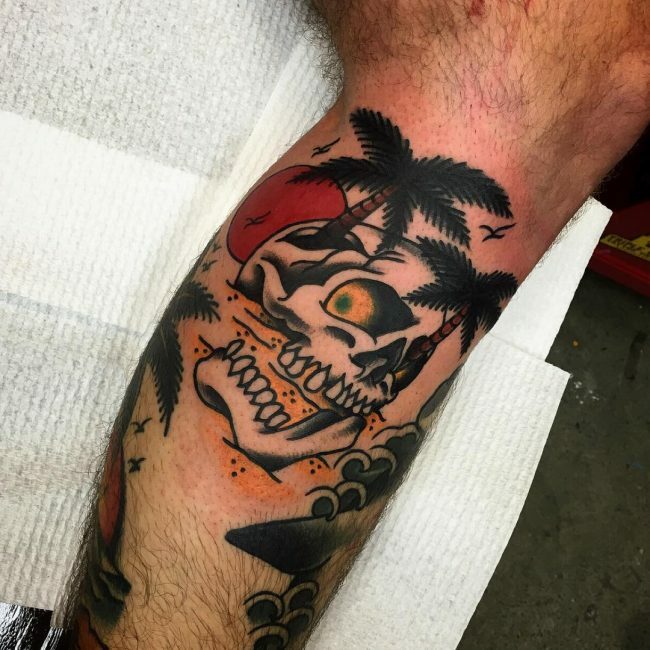 Some dark clouds also make an excellent background for this tree as they enhance the perilous tone. 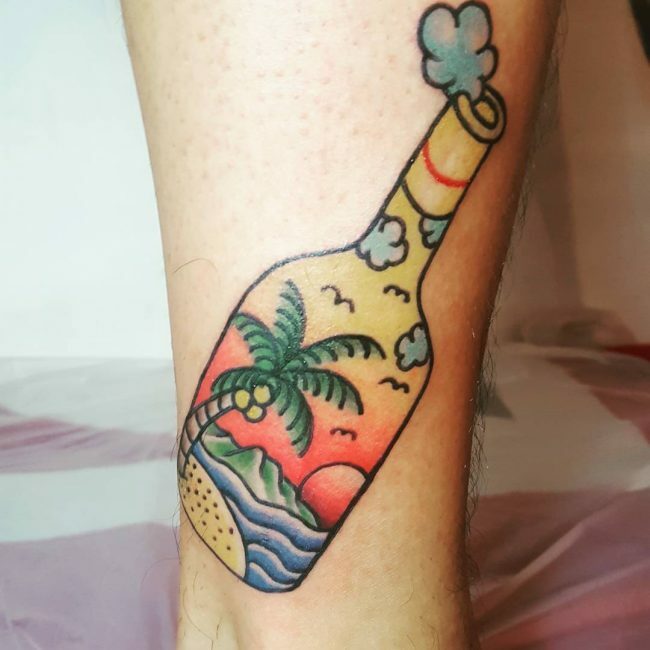 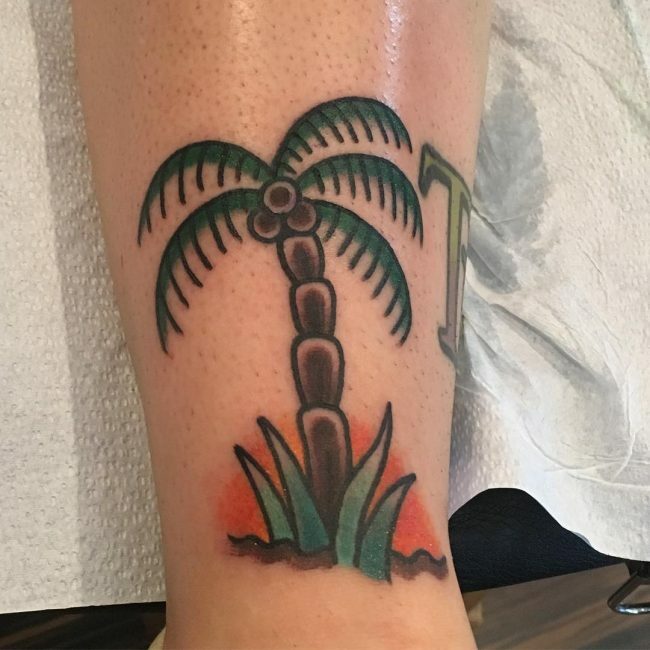 This tattoo design is a favorite of modern tattoo enthusiasts, and in most instances, it portrays the image of palm trees on a sandy beach. 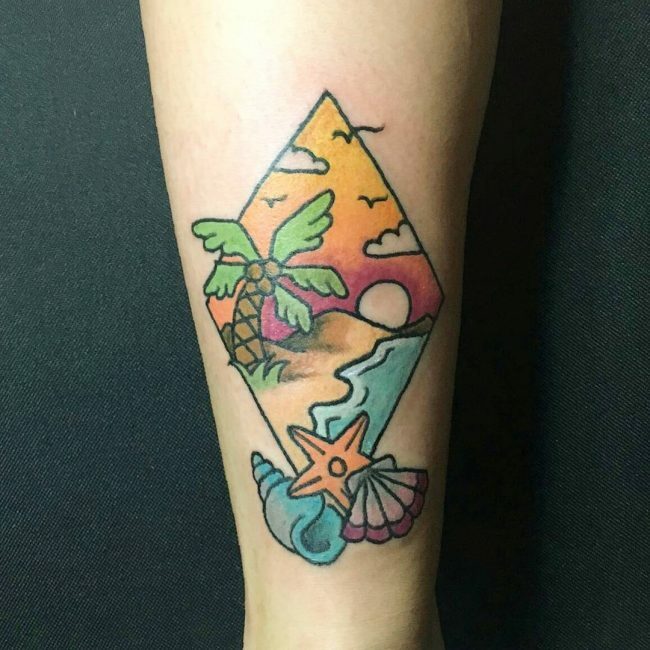 Although you can draw this totem in any bright colors, keeping things realistic with a blue sky and ocean makes your symbol look even more appealing. 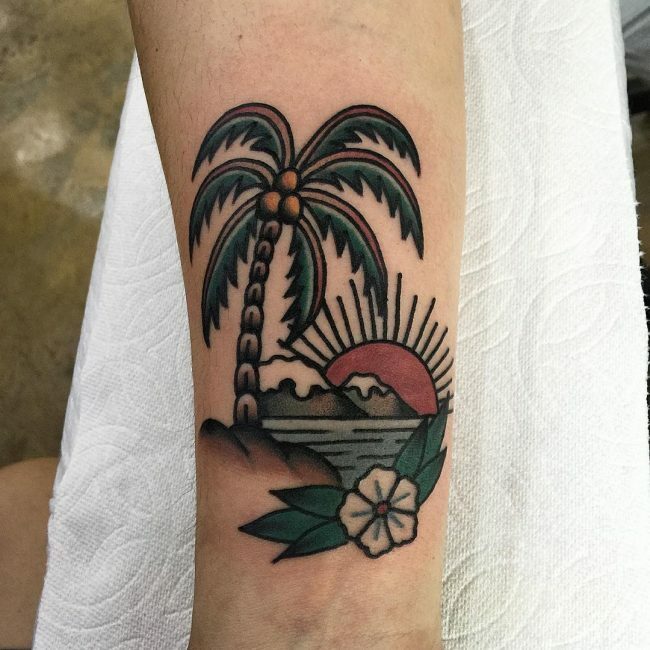 Classic palm emblem is in bold black ink, and it has a simple design. 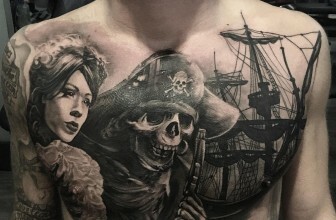 The design is very straightforward but the amount of detail that the ink gives it is hard to ignore. 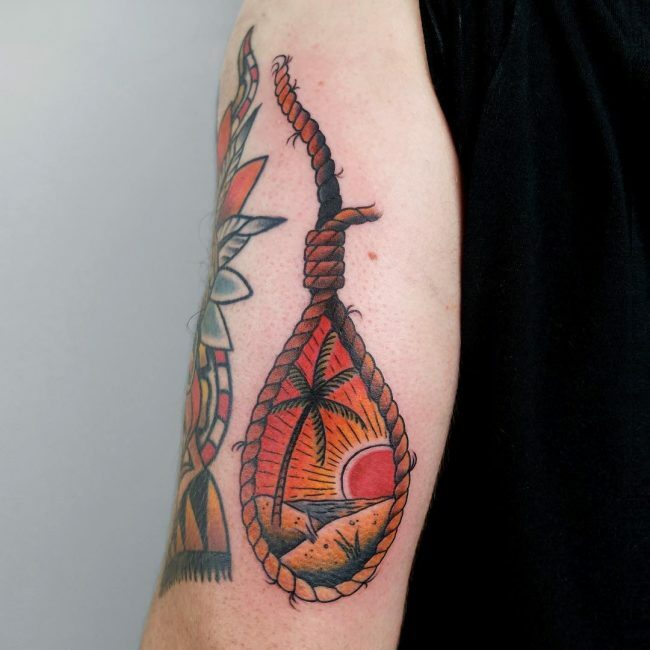 But, the best thing about this totem is that any seasoned artist will have little to no trouble replicating it. 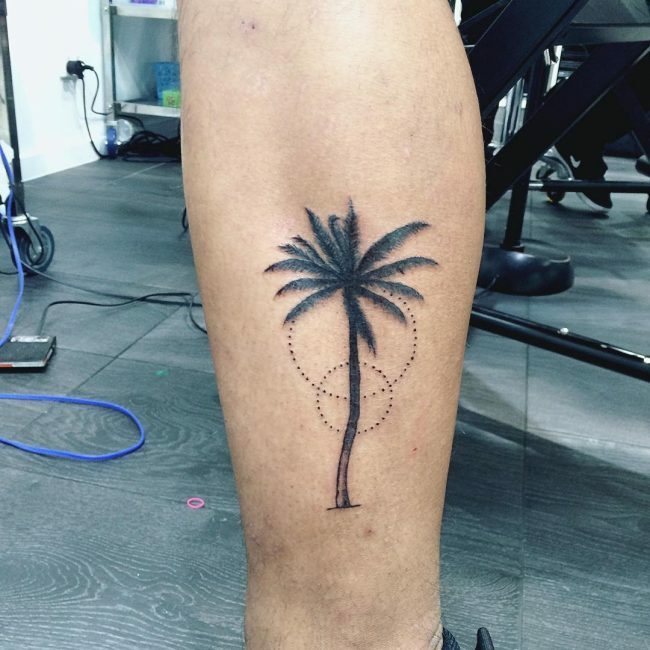 A single palm tree forms an attractive tattoo if you have it alone, but it also looks great as part of anther complex body marking. 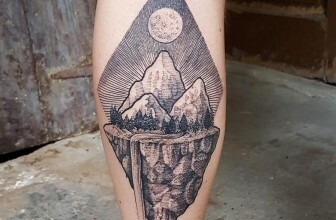 How, you choose to draw it will determine the best place to have it. 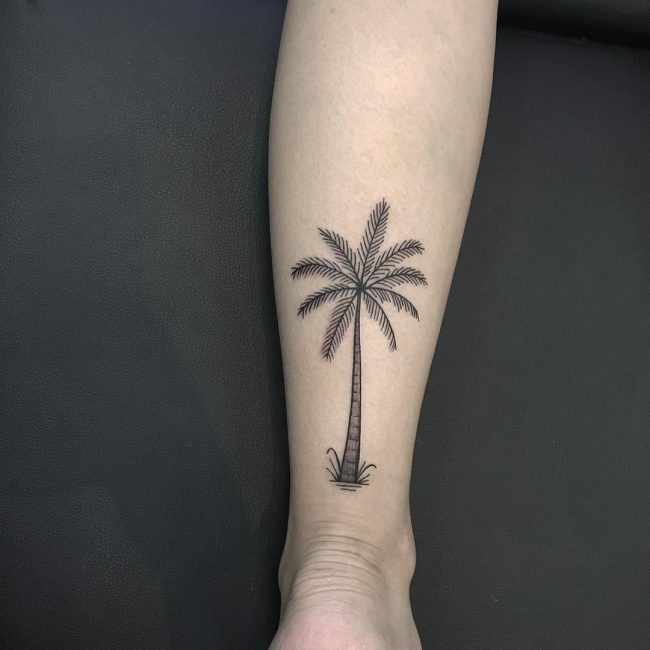 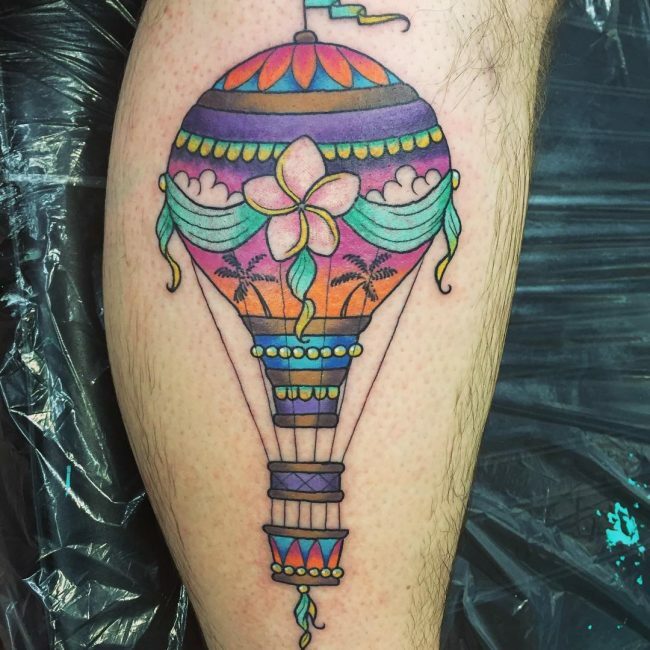 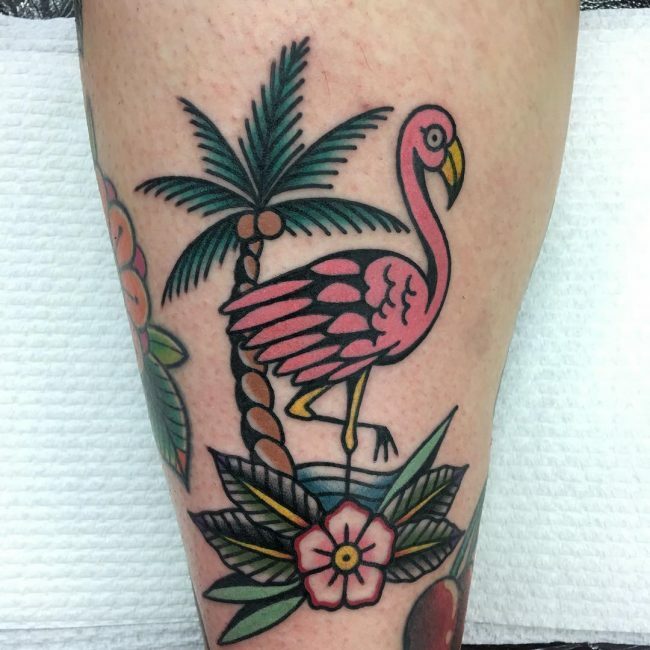 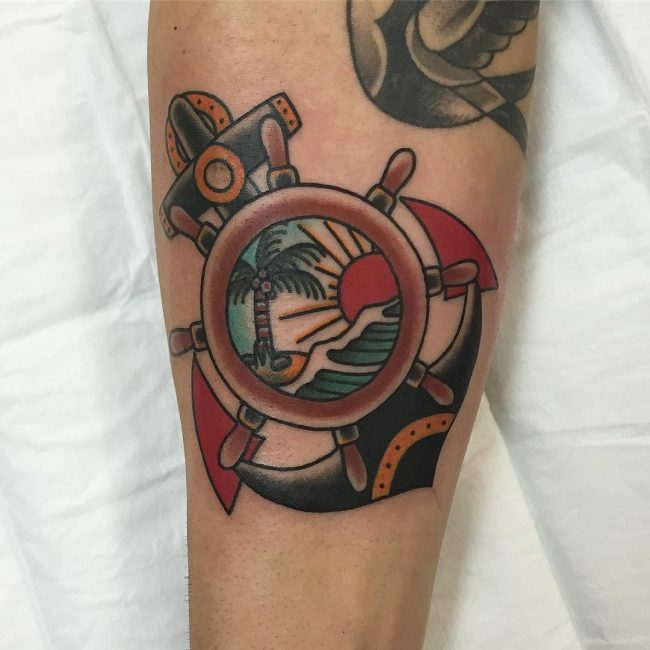 The size also matters a lot when it comes to the placement because a small palm forms a perfect tattoo for your ankle or wrist while an enormous one is suitable for the leg or sleeve. 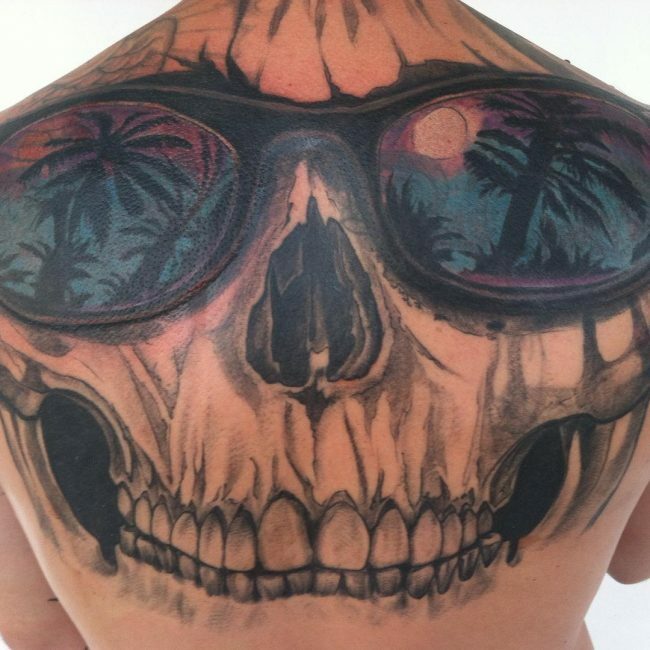 You can also have the palm tree as part of a collection of other huge tattoo covering your back or chest. 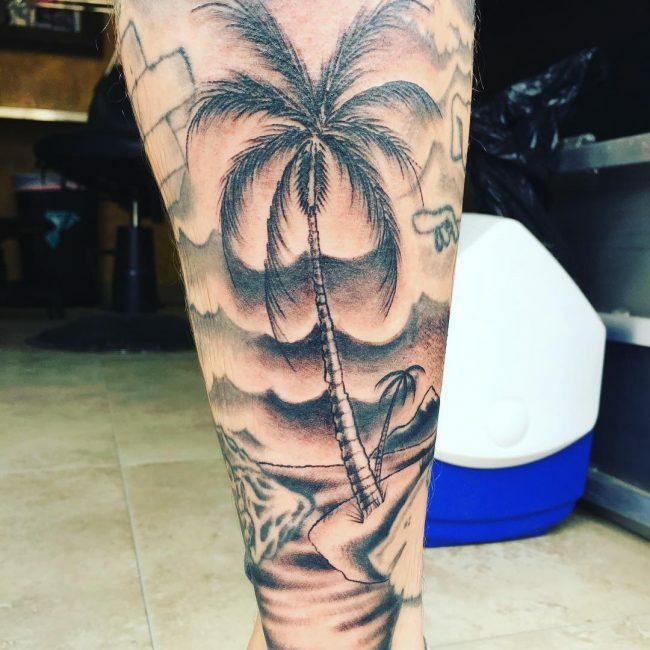 For some people, the rib cage, arm, and feet are also excellent locations for their palm tree. 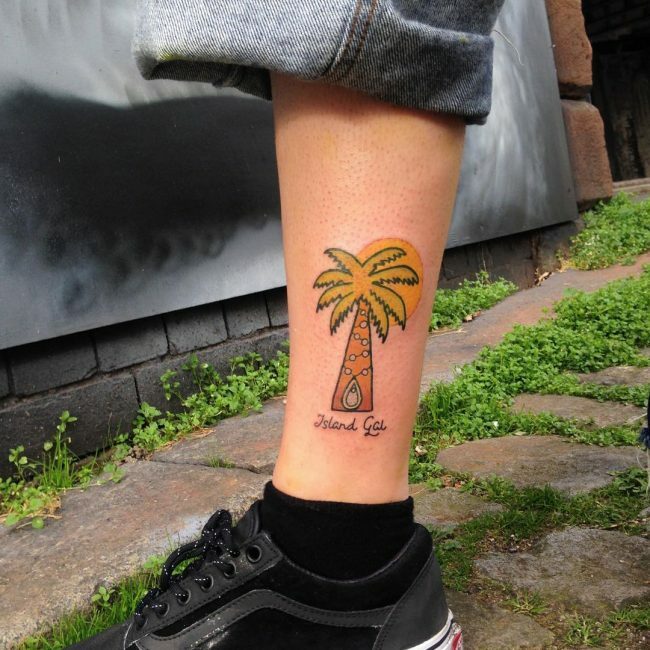 The symbolism, simplicity, and beauty of the palm tree tattoo make it a perfect totem for both men and ladies. 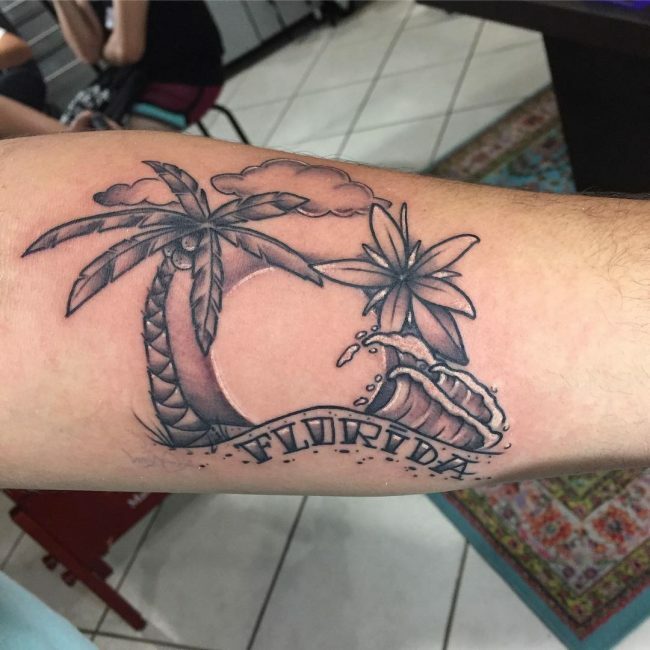 Whether you prefer simple or detailed and realistic body art, the palm tree will still work for you as there are endless design options available. 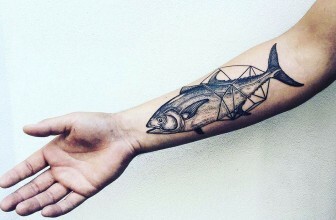 All you need to do is to choose something that works for you.